Today, I am going to share my thoughts on Rimmel's Moisture Renew Lipstick Collection. 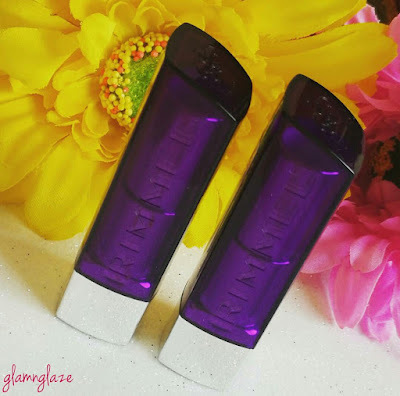 Rimmel is one of my favorite makeup brands.They have everything from kohls to lip-liners to foundations to lipsticks and so on.Their products are of really good quality.I trust Rimmel. The Moisture Renew lipsticks looked very appealing because of their packaging and hence I went ahead and checked these out at the counter.Let's find out together if these lipsticks worth purchasing!!! Moisturizes lips without compromising on colour! Vitamin A,C,E enriched formula that drenches lips in intense colour and moisture. Ultra lightweight, comfortable to wear all day. A burst of brilliance in a rainbow of shades. 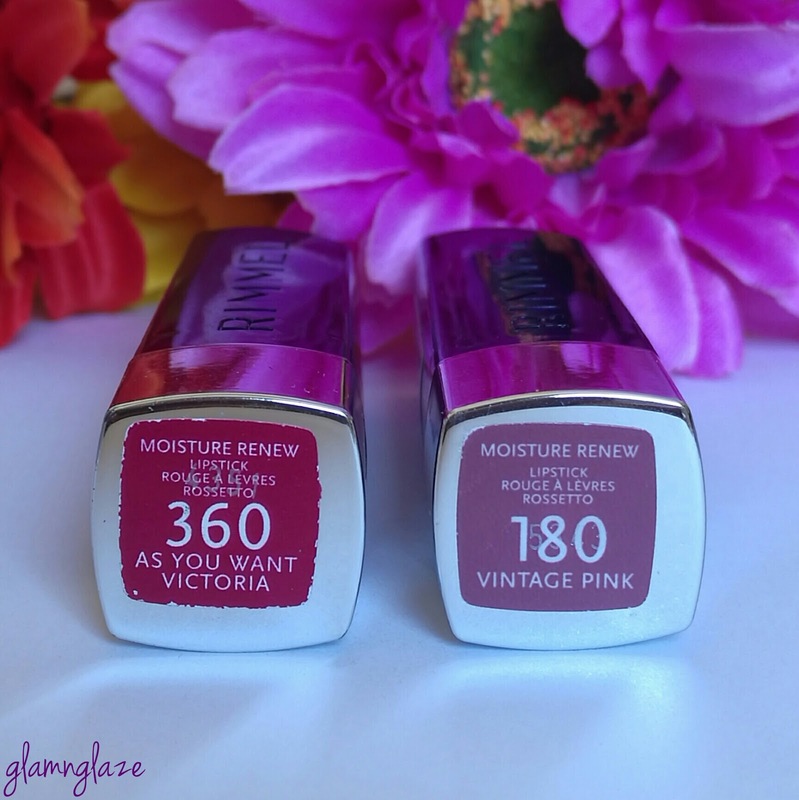 There are eighteen shades available in the moisture renew lipstick collection and I picked two of them namely 360,As You Want Victoria and 180,Vintage Pink. 360,As You Want Victoria : It's a heavily-blue toned pink shade.This shade will suit all the skin tones.It's a bold and beautiful shade.Can be worn at any occasion.I have been using this shade non-stop.It's really a very nice shade. 180,Vintage Pink : It's a flat out mauvy-pink shade.It's a neutral shade.Will suit all the skin tones.Can be worn on an everyday basis.I love this shade. The lipaticks in the Moisture Renew collection come in tube that has silver base and a purple-blue coloured cap/lid.The packaging looks really nice. Rimmel's logo is embossed at the top-head of the lid.The details like shade number,name,quantity are mentioned on the tube itself.Packaging is sturdy and travel-friendly.I like it. Texture of these lipsticks is very buttery-soft and smooth,experienced no tugging or pulling...simply wow! Pigmentation-The product is very pigmented.One single swipe is enough to cover any pigmentation on the lips. Leaves a stain behind on the lips,especially the darker shades like 360, As You Want Victoria. 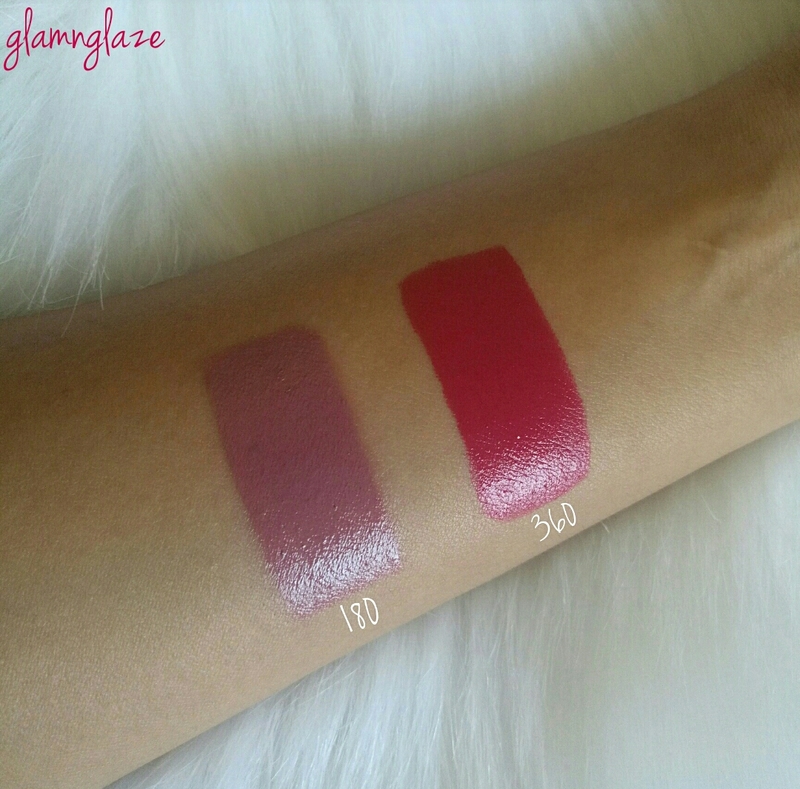 The lipsticks in the moisture renew collection have a strong sweet-fruity fragrance that lingers after the product- application.It fades away as the time passes.But,yes it's very strong.I am fine with it as it just goes away after some time ,so it's not really a problem. The longevity of these lipsticks is upto five hours after which the lipstick leaves a stain behind.We don't really need to re-apply the lipstick because the stain looks nice in my opinion. It has a tendency to bleed though.Using a lip-liner will definitely help. Transfers to the cutlery easily.But,we can always mattify any lipstick that has a satin/glossy finish by using a translucent powder. Makes the lips look plumped-up and luscious! Stays on the lips for about four hours max. i.e. with heavy meals in between.With light meals in between it stays up to five hours on me. Please note that the lighter-shades like Vintage Pink stayed on the lips for about three hours(max). The lipstick fades away evenly as the time passes leaving a nice stain behind.In case we eat anything oily/greasy,it goes away from the center of the lips immediately. 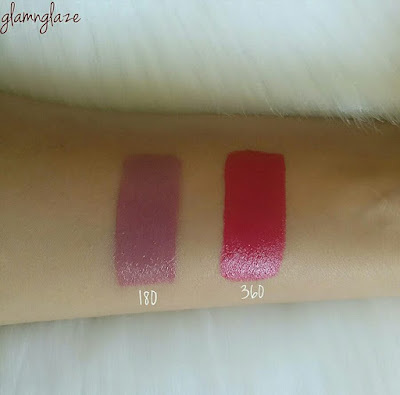 Overall,I am a big fan of Rimmel products in general and these lipsticks are definitely worth a try.I like the packaging and formula of these lipsticks.I am really loving the shades that I have purchased.The pigmentation is seriously to die for and the shade-range is awesome too.There are neutral shades and bold reds and pinks in this collection.I recommend checking out the Moisture Renew lipstick collection. P.S. 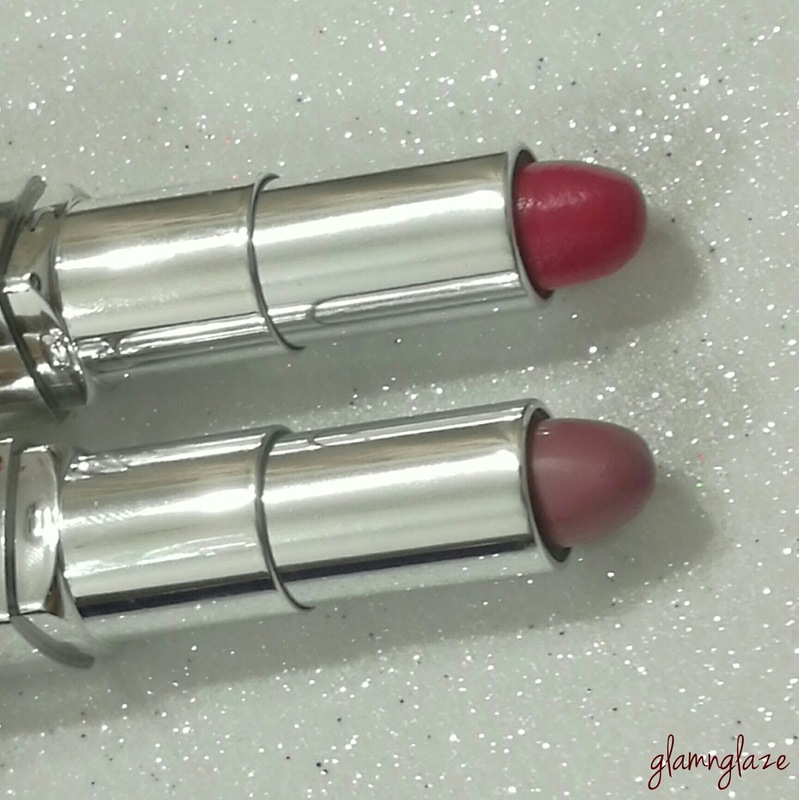 the lipsticks have been used by me regularly and that's why the lipstick's head is of round kind of shape.